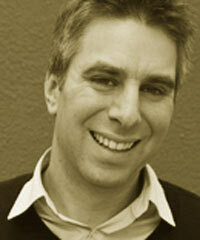 Adam Werbach is Cofounder of the social commerce startup yerdle.com. Elected President of the Sierra Club when he was 23, Werbach went on to found a number of mission-driven companies, most recently selling Act Now to the Publicis Groupe and building the global sustainability practice for Saatchi & Saatchi. Twice elected to the International Board of Greenpeace, Werbach is a frequent commentator on sustainable business, serves as the Sustainability Correspondent for The Atlantic.com, and appears on networks (including BBC, NPR, and CNN) and shows ranging from the O’Reilly Factor to Charlie Rose. In 2011, he was named a Young Global Leader by the World Economic Forum.